A cry of pain stabs through the night. It awakens Sonia (Jana Raluy), who is quickly stirred into action. 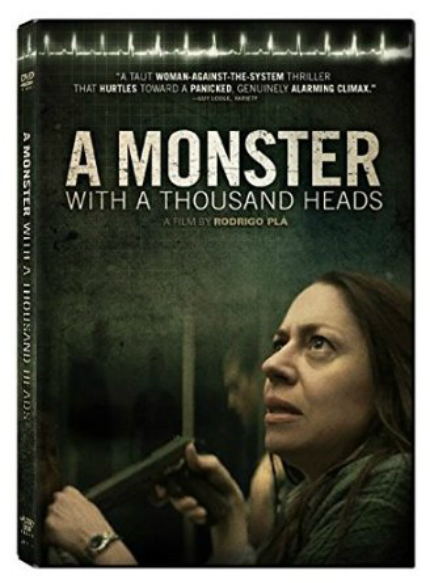 It motivates her actions throughout A Monster With a Thousand Heads, directed by Rodrigo Plá, an angry commentary on the state of the health care system in Mexico (although it applies in principle to many other countries, including the U.S.). As demonstrated in our exclusive clip, director Plá carefully chooses his setups and shows restraint in his camera movements. That in no way lessens the emotional impact of the story. We'll have more about the movie in our DVD review, to be published a little later today. A Monster With a Thousand Heads will be available on DVD and various Video On Demand platforms tomorrow via Music Box Films. For now, please watch our exclusive clip below, which is from the opening moments of the movie and sets things up nicely.